All of it was great, the owners were so incredibly helpful with booking tables for dinner and with information on the island. Especially Goofy the puppy who guards the hotel whilst entertaining the guests. The hotel is clean and very relaxing with the large pool to sit round in between exploring the island. The perfect place to stay. The outdoor facilities and the location of the hotel were excellent. We really enjoyed the view and the pool. The bartender was pleasant and always answered questions or suggested places to eat and visit on the island. We thoroughly enjoyed our stay at this property. 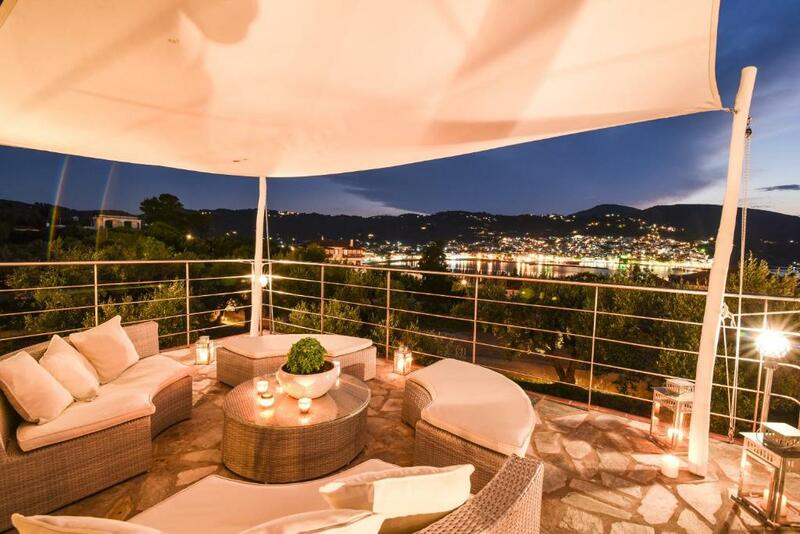 The new owners are helpful, the swimming pool is an excellent size and the views over Skopelos town are superb. Easy walking distance to restaurants. At the end of our visit, the owner dropped us to the nearby ferry terminal which was very much appreciated. Great view, great pool area and friendly staff. Nice to get a small walk from the small city (about 10 min). I'd rather stay here than the more pricey places closer to the city that mostly looked crowded and more of a apartment complex. Fantastic views. Spacious room. Clean. Friendly and helpful proprietor who did say he would have picked us up from the port. Nice swimming pool. Good value for money. good location near to Skopolos Town. Made to feel very welcome by the friendly owners and staff. The friendly feel made for a lovely relaxing stay. Great pool with great views over the bay and the town. 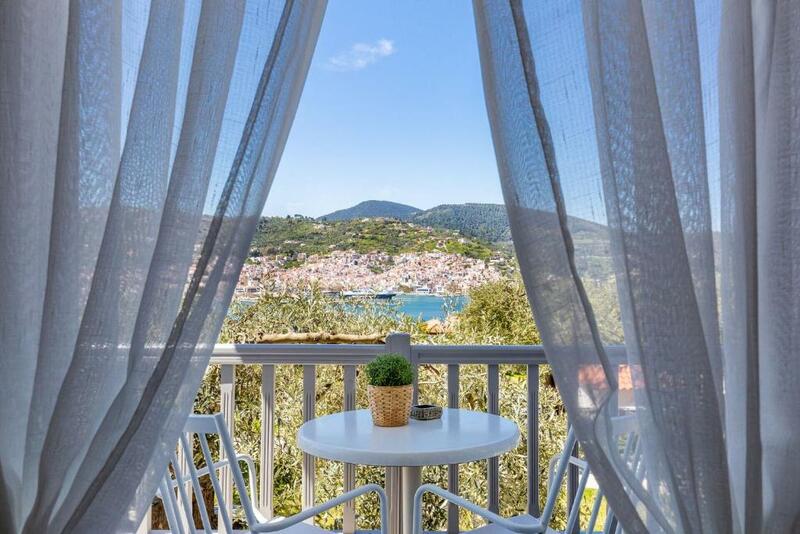 Situation great with fantastic views of Skopelos Town and harbour. Beautiful gardens. Bedding changed every 2 days and bins emptied daily. Pool and bar excellent - always able to get a sunbed and bar staff friendly. Pickup/drop off at harbour (you need to arrange this). Cleanliness of room. Quiet location. We loved the 15 minute walk into the town which was along a quiet and well lit road. Plenty of parking if you drive. The hotel was designed with good planning and everything was new. It is clear that much effort was put into making it a special place to stay. The furniture, building and details everywhere looked brand new and very nice. We had an amazing sea view too. The personnel - Yorgo and Magda helped us a lot with travel planning and checking in-out. Remarkable! Great staff, clean and comforable. Spacious rooms. Great pool. great views. Cuando lleguew al hotel, me encontré que había habido una confusión y el establecimiento estaba cerrado por que había terminado la temporada. Cuando les expliques a sus dueñas la situación, no dudaron ni un minuto e inmediatamente me prepararon una habitación. Evlalia y su hija Nina fueron realmente excepcionales!!!! Volvería todas las veces que pudiera. Lo recomiendo plenamente!!!!! Efjaristo nina for all!!!!!! Lock in a great price for Evlalia Studios & Villas – rated 8.5 by recent guests! 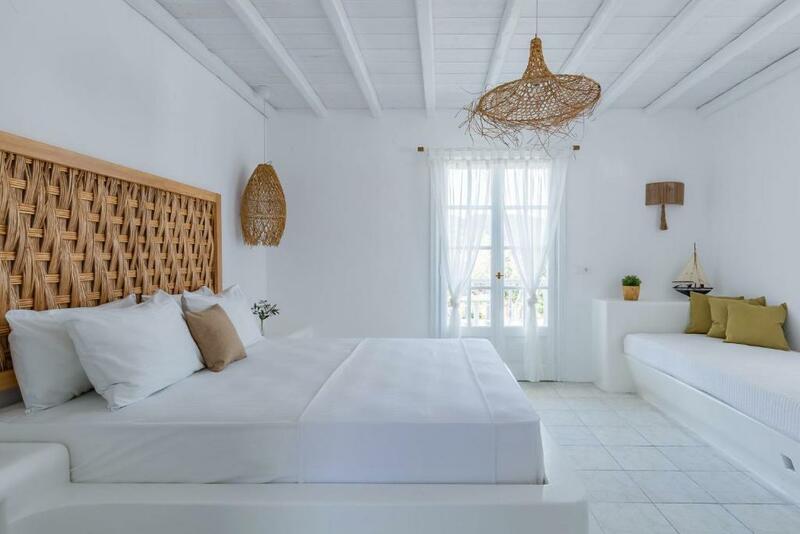 One of our top picks in Skopelos Town.Located within 0.9 mi of Skopelos Port in Skopelos Town, Evlalia Studios & Villas offers accommodations with free WiFi. Featuring a terrace, some units are air conditioned and feature a dining area and a seating area with a cable flat-screen TV. Some units also have a kitchen equipped with a dishwasher. Evlalia Studios & Villas has a barbecue and a garden. 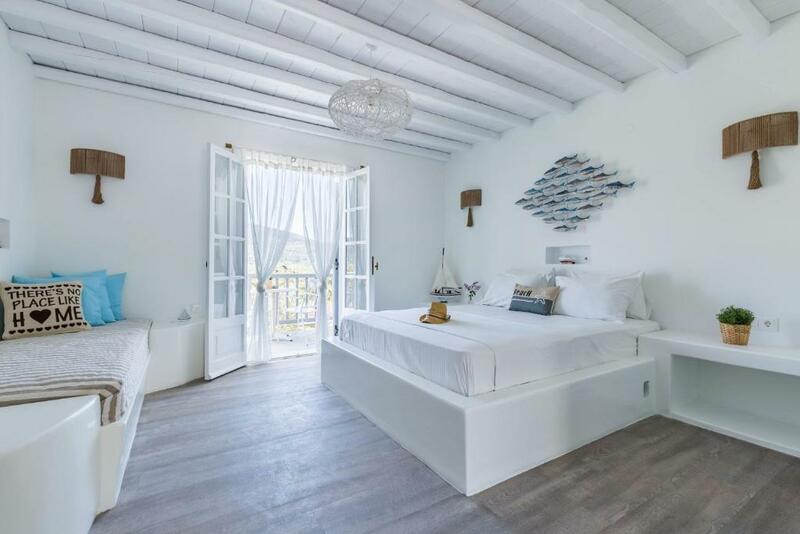 Photo Center of Skopelos is less than 0.6 mi from the accommodations, while Port of Skopelos is an 18-minute walk from the property. 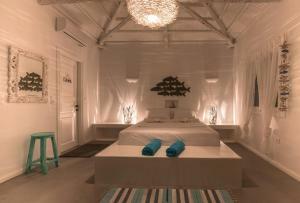 When would you like to stay at Evlalia Studios & Villas? This studio has a kitchenware, stovetop and flat-screen TV. This studio features a view, stovetop and balcony. This apartment has a kitchenware, sea view and balcony. This studio has a kitchenware, garden view and air conditioning. 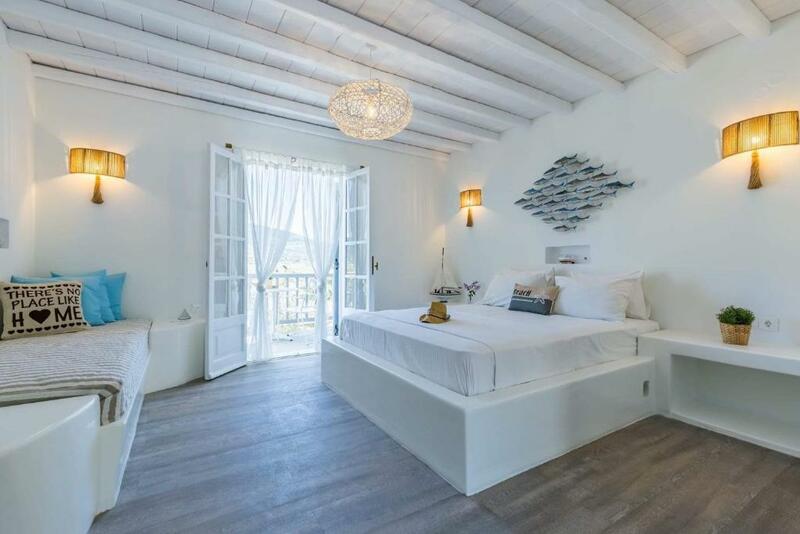 The location of complex Evlalia Studios & Villas offers you unique vacations near to Skopelos town in a quiet and green enviroment.Balconies with breathtaking view and a modern or traditional decorated room is an absolute combination for unforgettable holidays. It is our pleasure to meet new people and inform them about activities of our island.Our favorite hobbies is water sports and free diving(under water fishing).We are waiting you to share our experience and secrets of Sporades islands sea. The distance to Skopelos port from our complex is 8 minutes on foot or 2 minutes by car.The nearest beach is only 150 metres,super market is 650 metres far away and bus station or taxi is 900 metres. House Rules Evlalia Studios & Villas takes special requests – add in the next step! Evlalia Studios &amp; Villas accepts these cards and reserves the right to temporarily hold an amount prior to arrival. Evlalia Studios & Villas accepts these cards and reserves the right to temporarily hold an amount prior to arrival. A warmer welcome and more information upon arrival would have been appreciated. We just got the keys, the girl showed us to our room and then left. We figured things out after a few days eventually. The glass served at the pool. Unfortunately, our 2-year-old daughter stepped in a piece of glass right beside the pool and we ended up at the emergency clinic to get it out. The owner drove us there immediately which was very nice on his part. All was well until one week later when our daughter got an infection and had to go to the emergency clinic again. While I understand accidents can happen and I appreciate they drove us, I think serving glass around the pool should be avoided. The kitchen area is very small with little workspace which makes food preparation challenging. The air conditioning was in one bedroom which meant it did not really affect the other room unless the first bedroom door was kept open which was not appropriate given the make-up of our party. The third smaller bed for our daughter was really hard and uncomfortable, a fold out chair. Not suitable at all. The music around the pool was extremely loud! Skopelos is beautiful and the views from the hotel are incredible but playing really loud chart music spoilt the ambience. Mattresses could have been a bit more comfortable. The superior suites are situated at the top of the site to make the most of the views and whilst this wasn't a problem for us some might find the walk up the hill in the heat rather hard going - there is parking fairly close by though if you have the use of a car. Owners have a dog and there was the odd dog poo in the gardens that needed picking up (maybe a bit picky but would improve site). The daily cleaning could be done better. Basically only the beds are made. The location of the hotel is not 2 min walk from the port but at least 10 mins - located across the bay. The internet does not function well. Bed was very hard but nothing else - we loved our stay.